The least popular game in the Dragon Age trilogy, and I can see why. 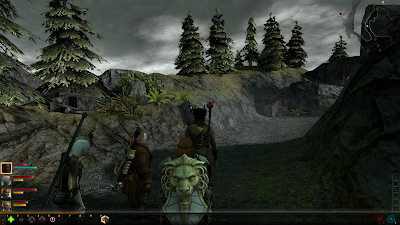 Gone are the excellent camera controls from the PC version of DA:O. Indeed, combat in general feels much more like a console RPG. In some ways, this is an improvement - the mage in particular is much more dynamic, and many fights are over quickly. Likewise, the Mass Effect style dialogue wheel means that Hawke, the player character in DA2, is no longer a silent protagonist (for better or worse). Some of his (or her) sarcastic comments are quite amusing, but Hawke lacks the dry wit of Geralt of Rivia.